Health facilities in Nandi County has received medical commodities boost worth Ksh. 22m following the delivery of drugs to the county. 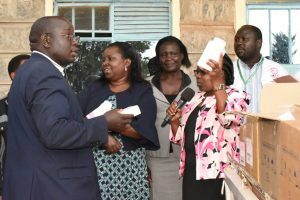 The consignment was received by Nandi Deputy Governor Dr. Yulita Cheruiyot and the Health and Sanitation CEC Ruth Koech. 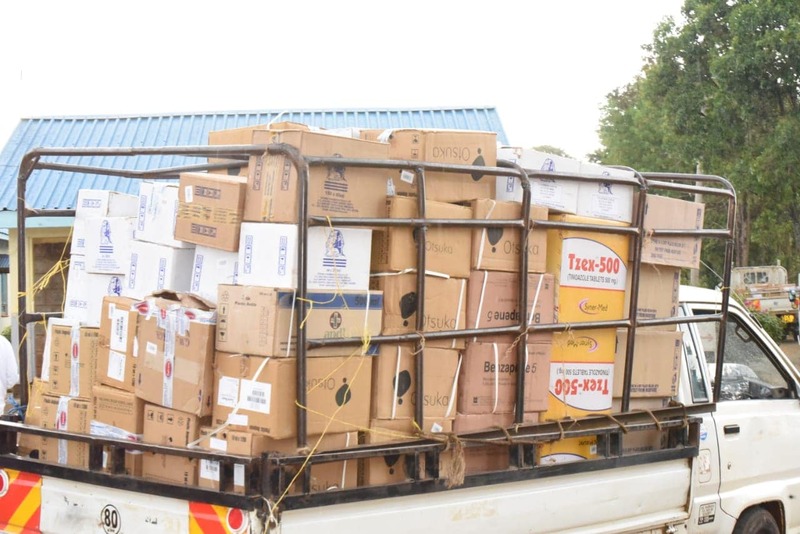 The consignment will be distributed to health facilities across the County. 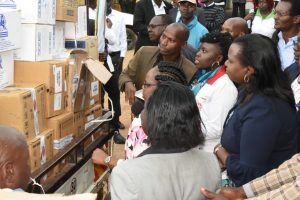 While receiving the drugs, the Nandi County Deputy Governor said the delivery will replenish the medical stock levels in the countys’ health facilities. The Deputy Governor the commitment of “Tuga Tai” government is committed to ensuring that all health facilities have sufficient drugs and promised better health services delivery at county hospitals. Speaking after the flag off Health and Sanitation CEC Ruth Koech said her vision and the visionof the county government of Nandi is to ensure every resident accesses cheap, quality and affordable health care. She said Health is one of the biggest Tuga Tai government agendas. The drugs consignment is set to last for a minimum of two months, before another acquisition is made in mid-January. Another consignment of non-pharmaceuticals will be disbursed by end of the week.